Michigan law allows school districts to count six days or equivalent hours of “forgiven” time toward our day and hour requirements when school is canceled due to reasons such as bad weather. This school year, we experienced nine cancellations for students on the traditional calendar and eight for students on the year-round calendar. We have two days built-in to our calendars to account for two of the canceled days. *May 4 and May 25 will be scheduled days of instruction. While it's rare to lose school days to weather in the spring (knock on wood! ), please be aware that any additional days will be added to the end of the school year (pending waiver status) in order to be in compliance with state requirements for instructional days. Probably a fire drill today! Carter Poniatowski (5th grader) represented Turrill exceptionally well at the Countywide Spelling Bee! He made it to round eight, with just six kids remaining when he got out. This is fantastic, particularly as a fifth grader in a 5th-8th grade competition. 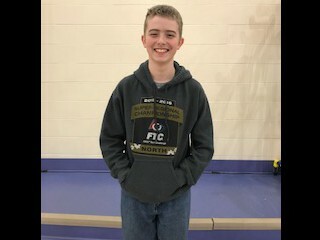 Turrill is proud of Carter Piontowski who placed in the top six at the county wide spelling bee. Carter correctly spelled etymology, acronym, and other challenging words. Well done Carter! 6 out of 8 months during this school year our office referrals have decreased compared to last year. We are on a two month streak! The past two months (February and March) have seen a decline. In order for us to create a learning environment where everyone can learn, it has to be safe first! We believe the decrease in office referrals is an indication that we are all making better choices and helping to make our school a great place to learn! So...on Friday, April 13th I'll be getting "Silly Stringed" during an assembly in the afternoon to honor your efforts!! The State of Michigan has developed an assessment system called the Michigan Student Test of Educational Progress (M-STEP). This assessment has replaced the MEAP test. All testing for the M-STEP will be done online. These tests are very important to students and the school district alike. Test results help teachers identify areas of strength as well as any academic skills your child has not yet mastered. Teachers use student scores to drive instruction and evaluate curriculum. Historically, the State of Michigan has placed a great emphasis on a district’s state assessment scores. For these reasons, Lapeer Schools take M-STEP testing very seriously and will do everything we can to ensure this a successful experience for your child. English Language Arts and Mathematics will be assessed in all grades 3rd through 8th. In 5th grade Science and Social Studies are also assessed. Each assessment will include both open-ended response items and multiple-choice questions. Open-ended questions will challenge students to explain their answers in a Text Dependent Analysis (TDA). A TDA response will require a student to support their answer using information found in an associated reading passage. I ask that you please be mindful in scheduling any appointments for your child(ren) that involves time out of the classroom during the assessment administration days. The testing for 5th Grade will be conducted between April 10th and April 27th. Students will be taking the assessments using Chromebooks in their classrooms. This is especially important because time for make-up assessments is limited and some of the required components cannot be easily replicated in a make-up setting. Teachers will be working with our students to prepare them for the online format and test structure. * Getting plenty of sleep. * Attending and arriving at school ready for testing every day. * Eating a well-balanced breakfast. * Having a good attitude toward testing. * Listening carefully to test directions. * Trying to do their best on the tests. * Taking their time on the tests. These tests are not timed, so students can concentrate on the test without worrying about whether they will finish on time. In the morning, staff supervision outside of the building starts at 8:35. In the afternoon, staff supervision outside of the building ends at 3:45. For your child's safety, please do not leave your child unsupervised outside before school starts. If you plan to walk your child to the appropriate entrance, please park in a designated parking space. If you are dropping off, please pull forward as far as possible and use the passenger side doors to enter/exit your vehicle at the curb. Our Book Swap was a Great Success!! Thank you for encouraging your students to send in books for the Book Swap! 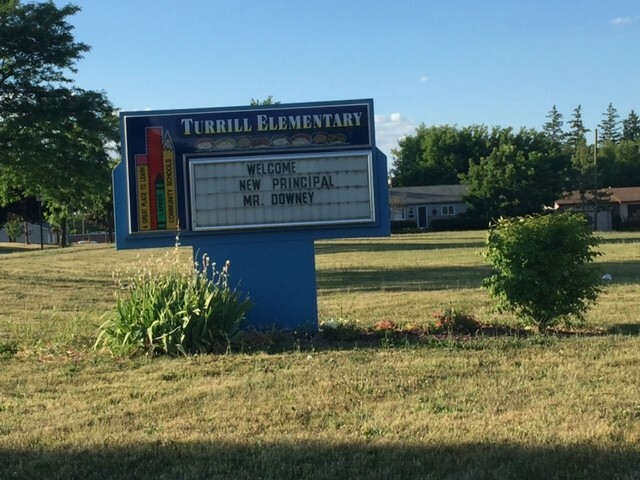 We passed out over 1,000 books to Turrill Students! WOW! Thanks also to Mrs. Short and her students who organized, put the books into grade levels and were helpers at the Book Swap! Just think, over 1,000 books are in the hands of Turrill students for spring break!